Our Dyna kick has a patented laceless design with stable criss-cross strapping and radial reinforcements at stress points. 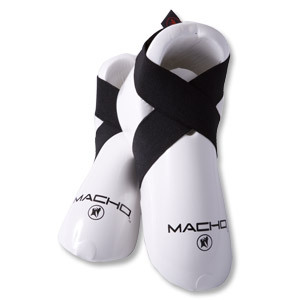 Bottom vinyl strips to ensure a secure fit during sparring. PRO Heavy Bag, 30 lbs. 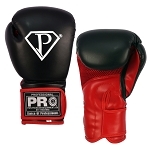 PRO Heavy Bag, 40 lbs. 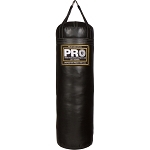 PRO Heavy Punching Bag, 50 lbs. 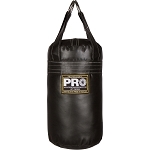 PRO Heavy Punching Bag, 80 lbs. PRO Banana Bag, 6 ft., 150 lbs. 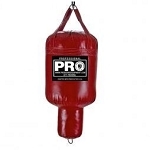 PRO Mushroom Heavy Punching Bag, 75 lbs. 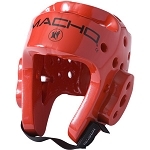 PRO Tear Drop Heavy Punching Bag, 130 lbs. PRO Heavy Bag, 20 lbs. 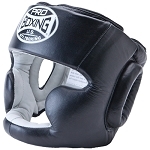 PRO Banana Bag w/ Uppercut Donut, 6 ft. In Stock! 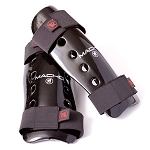 Place your order now directly from the manufacturer Right NOW in the U.S.A.